On Saturday, 31st May 1986: A hot and humid day during the holy month of Ramzan, it was quite humid (Hubs) till late afternoon as clouds started to appear around 4 pm from north, covered the sky and turned very dark. Then, I remember, around 4:30 it turned out ‘yellowish red sky’ with absolute darkness like night, then Karachi experienced about 15 minutes of very severe dust storm, known as ‘Kaali Andhi’ in which thunder and rain accompanied later. Winds speed was recorded 60 knots & rainfall was 17 mm and it caused widespread damage in the city. That storm remains the most severe dust storm in Karachi on the records till the 23-June, 2007 storm. 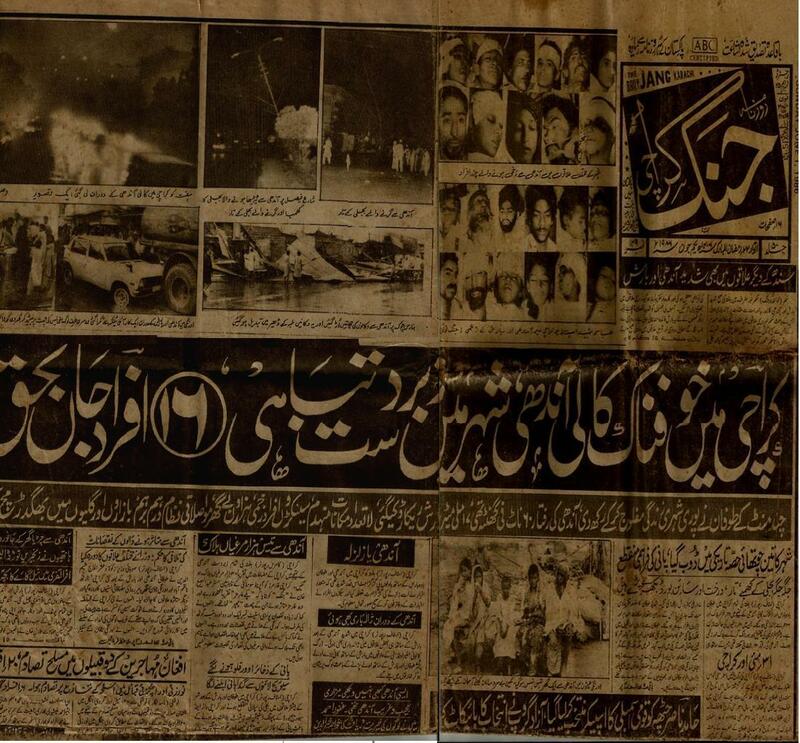 31st May, 1985: A year earlier on the same date i.e. 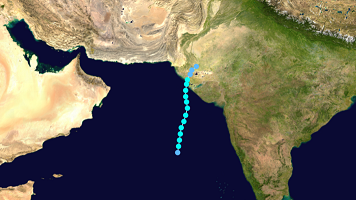 on Friday, 31st May 1985, another day during Ramzan, a Tropical Cyclone in the Arabian Sea diverted towards Indian Gujarat near Run-Kuch coast. Earlier it was heading a bit north when it created panic in the city. Although I was very young & didn’t have much knowledge or concept about the maps, but I remember that day very well, it was the Friday during the month of Ramzan, the anxiety and prays were going high until it was informed through Radio and T.V. that cyclone has diverted. Clouds were coming from ENE brought some showers in that afternoon and in the evening it was strange looking reddish sky just before the Aftaar. ← Time for Arabian sea to have tropical activities! Man,.. the only storm i remmember was in 2007.. During the after noon (i came from school) and was completely bored because the weather was sunny first of all and hot! But within a few minutes clouds appeared and produced some drizzle.. then again it was sunny. (and i had lost hope of rain)..lol then i left the terrace and within 15 mins or so.. the scene changed from afternoon to maghrib! and then crazy storm.. can’t forget that day 😀 that story of the cyclone is pretty similar to the day of 2007.. Yes the June 2007 storm was a remarkable storm, sadly 200 people died 😦 The windstorm was the strongest ever recorded in Karachi. I also remember the day of 1986 where so much “kali andhi”. Our antena on the roof fell down. My mother did not allow me to go outside my room. I was 8 years old. And in June 2007, i was at my work place. Severe thunderstorm and when i went in evening i saw sign boards, trees and walls have fallen down. Yes it was a deadly dust storm. I was suffering from 105F fever when I saw dark thick black clouds coming from ENE that day.I was 11 at that time. I remember that there was a very large pitch black cloud in the east, even when it was far away you could see the dust storm coming and the sound of thunder, at the start warm dusty winds were blowing. Karachi will get pre-monsoon 2013? There are chances of premonsoon rain in karachi in june. It made me remember Thursday’s storm and 2010 storm in Islamabad.